In an interrogation room in an unnamed totalitarian dictatorship, Katurian Katurian, a writer, is being interrogated by two detectives. Next door, Katurian’s mentally disabled brother Michal waits. The detectives want to know why Katurian’s stories feature gruesome plots about child murder and torture, and in particular, why they seem to mirror a string of recent child murders in the area. This brutal dark comedy from Martin McDonagh, the master of the horror-comedy, poses unanswerable questions: Can stories hold the power to cause atrocities? Where is the line between truth and fairy tale? Is a life of horror worth living at all? 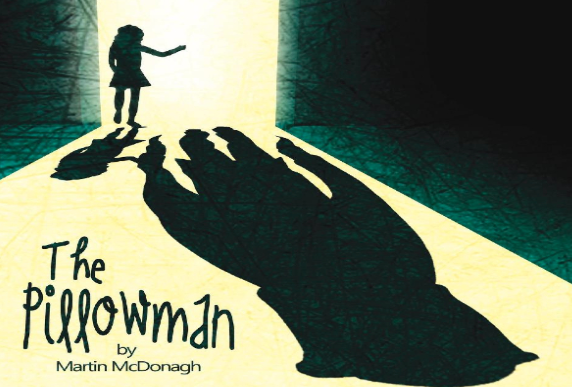 Drawing on inspiration as diverse as Grimm’s Fairy Tales, Kafka, and Antonin Artaud, The Pillowman is a dark, twisty, and utterly unforgettable masterpiece from one of Ireland’s most treasured writers.